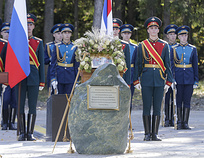 PATRIOT PARK /Moscow region/, September 19. /TASS/. Russian President Vladimir Putin has taken part in a ceremony of blessing the foundation stone of the future main cathedral of the Russian Armed Forces that will be built on the territory of Patriot Park, located some 50 km to the southwest of Moscow. The Patriarch of Moscow and all Russia Kirill I conducted the service of consecration of the stone and Defense Minister Sergei Shoigu attended it, too. 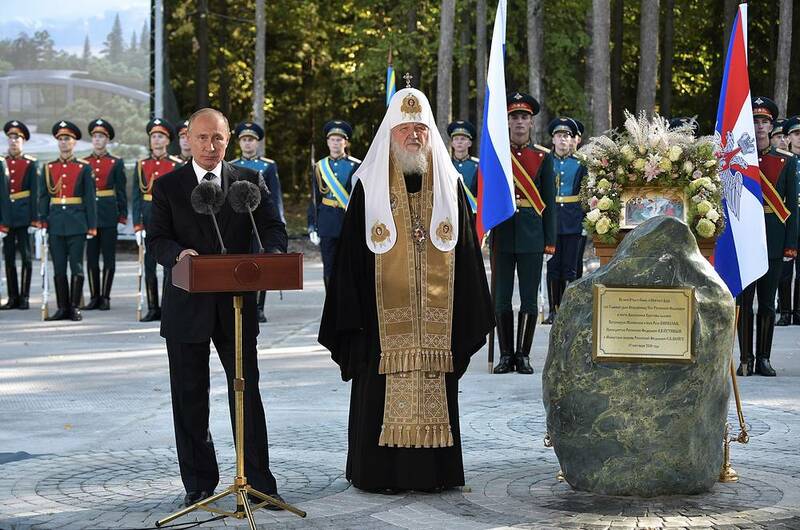 "We’ll lay the foundation stone of the Resurrection Cathedral today," Putin said. "It will be dedicated to our people’s victory in the Great Patriotic War [the combat operations on the Soviet/Eastern front of WW II from June 22, 1941, through May 1945 - TASS]. It will be the main church of our Armed Forces, one more symbol of our invincible national tradition, our fidelity to the memory of our ancestors and their deeds for the benefit of homeland." 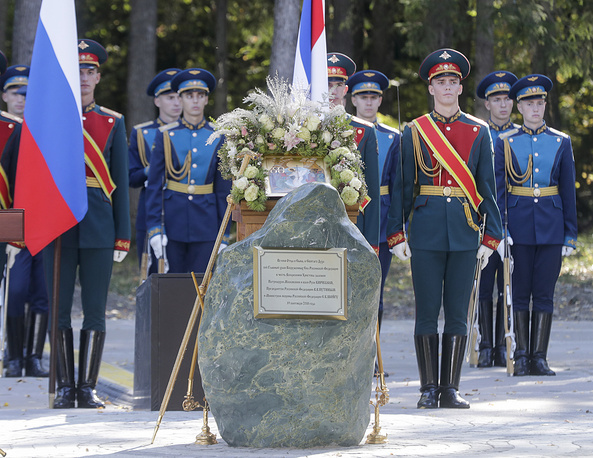 He reiterated that every Russian had a sacred duty of remembering and cherishing the memories of the people, who had given their lives for their homeland, and fostering respect for them in the new generations of people. Patriarch Kirill I called the Armed Forces the main factor for the maintenance of this country’s freedom, independence and sovereignty. "It is common knowledge that Russia has never conducted wars for land grabbing," he said. 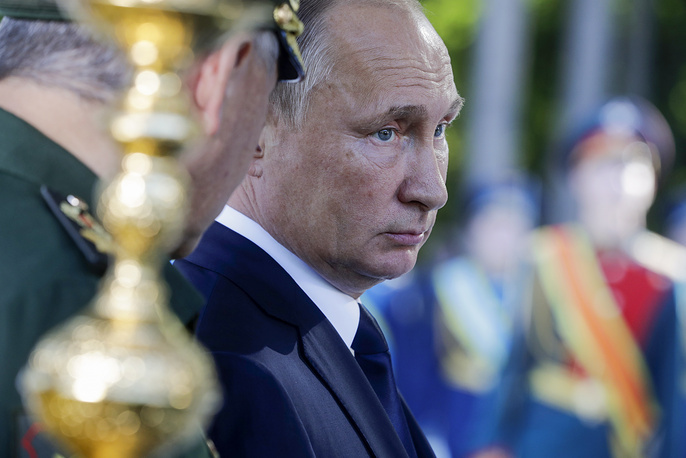 "Russia maintains its Armed Forces, as it understands it will be they that will defend its sovereignty and historic destiny of the people at times of trouble and danger." "That’s why the significance of the Russian military is hard to overestimate," Kirill I said. 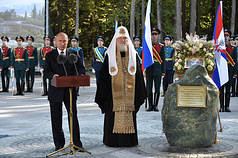 Vladimir Putin was shown a dummy of the church building and the adjacent territory after the ceremony and had a tour of a display familiarizing the public with the murals of the cathedral’s side-chapels, which are mandatory structural elements in an Orthodox church, under-the-dome spaces and frontals, as well as icons that Moscow Patriarchate will commission for the cathedral. The escorting officials told the President an especially interesting detail about the future cathedral, namely, that it would consist entirely of metal. For instance, its fa·ade and the interior decorations would be made of bronze. Defense Minister Sergei Shoigu made public the start of construction of the main cathedral of the Armed Forces earlier this year. 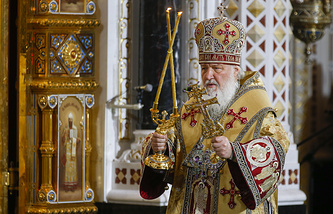 Prior to it, the idea got the consent and blessing of Patriarch Kirill I. 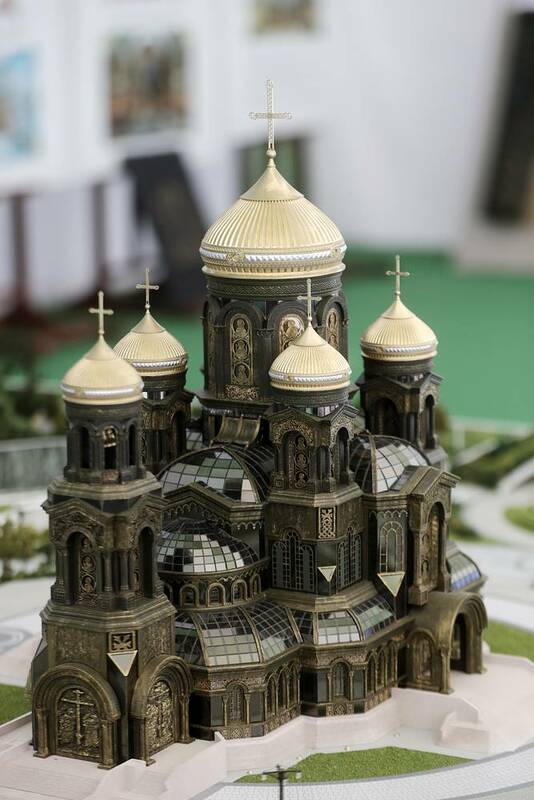 In addition to being a place of worship and a spiritual site, the Resurrection Cathedral will also take on the role of an education center for soldiers, Orthodox clergymen and civilian Russians. Its territory will also house an exhibition highlighting the rise of the Russian state and its Army and Navy. The building will be 95 meters tall, inclusive of the Cross, and its floor areas of 10,950 meters will have enough space for up to 6,000 worshippers at a time.